A ruling by a New York federal court judge Tuesday may have reverberations for similar lawsuits filed against the government for its inclusion of a citizenship question for the 2020 Census. U.S. District Judge Jesse M. Furman ruled Tuesday that the Trump administration’s attempt to add a citizenship question to the 2020 Census was “unlawful,” and must remove it from the census questionnaire, according to court records. The ruling ends the trial that began in November, after the state of New York sued the U.S. Department of Commerce in early April 2018 over the question’s inclusion. A request for comment from Department of Justice officials was met with an automated response informing that a message would not be returned due to the partial government shutdown. “Due to the lapse in appropriations, messages submitted through this web form may not be returned until funding is restored,” the message stated. The DOJ and the administration are expected to appeal the decision. U.S. Secretary of Commerce Wilbur Ross, who oversees the Census bureau, testified before Congress in late March that he added the citizenship question at DOJ’s request, but emails released as part of ongoing court challenges show that Ross was working to add the question before he received a letter from the DOJ in December 2017. 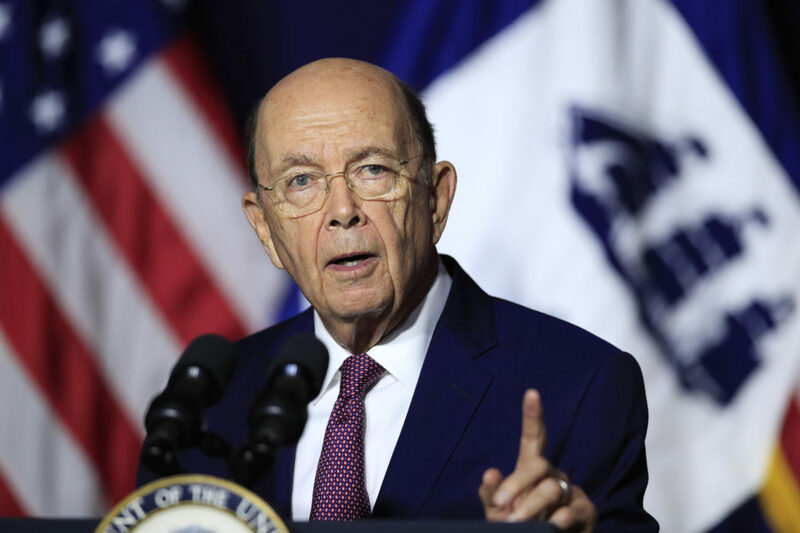 “… The Court vacates Secretary Ross’s decision to add a citizenship question to the 2020 Census questionnaire without curing the legal defects identified in this opinion, and remands the matter to the Secretary of Commerce…” the court’s opinion stated. Ross’ decision to add the question to the census was met with resistance. as 19 attorneys general signed a letter urging the Department of Commerce to reject the citizenship status question, citing the potential it of leading to serious undercounts in regions of the country where large immigrant communities reside. A lawsuit filed in California followed that same month, echoing what the nearly 20 attorneys general said in January. A few months later, the Mexican American Legal Defense and Educational Fund, or MALDEF, filed a similar lawsuit against the federal government to stop the addition of a citizenship question on the 2020 Census. MALDEF’s president and general counsel Thomas A. Saenz responded to the decision in a statement Tuesday afternoon. “The court decision correctly removes the citizenship question as unsupported by the lies emitted by the Trump administration to explain the late addition of a question that has not been on the decennial Census for seven decades,” Saenz said in the statement. Filed in U.S. District Court in Maryland on behalf of La Union del Pueblo Entero, or LUPE, a local immigrant advocacy group, and several other groups, the lawsuit opposes the inclusion of a question about citizenship that would be in the 2020 U.S. Census. The census determines the amount of funding given to the respective states based on the amount of people counted. 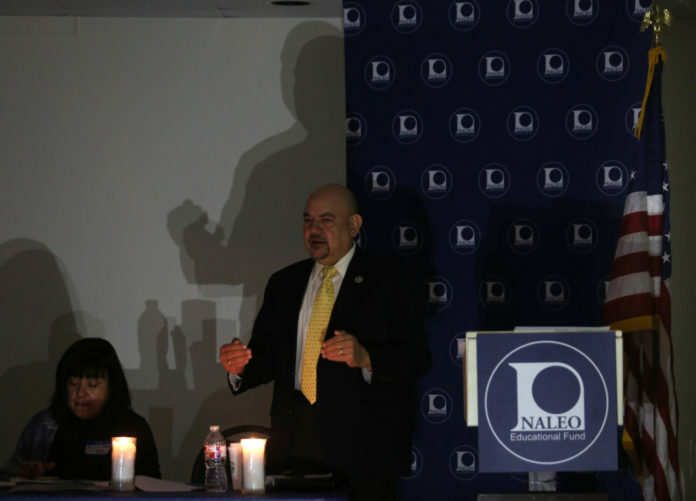 This money funds government programs for federal highways, early childhood education and children’s health insurance, to name a few, according to data provided by the National Association of Latino Elected and Appointed Officials Educational Fund, or NALEO. During a stop in the Rio Grande Valley last February, Arturo Vargas, executive director of NALEO, said any question that would deter people from being counted would be unconstitutional. Vargas added that an undercount would result in potentially less political representation, losing out on millions of dollars in resources for crucial programs that serve vulnerable populations. U.S. Rep. Vicente Gonzalez, D-McAllen, said the decision has reaffirmed what he and others already knew — that the Constitution requires everyone to be counted during the census. Christina Patiño Houle, spokeswoman for the Rio Grande Valley Equal Voice Network, said she was excited to hear the ruling Tuesday was in favor of removing the question from the census. Hidalgo County Judge Richard F. Cortez called the ruling “positive news” for the county. “We know that adding a citizenship question would be detrimental to Hidalgo County and many areas of the United States, which is why we, in addition to Cameron and other counties, joined in the lawsuit. The MALDEF trial involving LUPE, which is set to begin next week, and another one already underway in California, are the two other trials opposing the administration’s attempt to add the question, court records show.